this past week i did something kind of crazy-slash-brave. i asked my writer friend rachel haas about this twenty-eight days of fiction group that she had mentioned on her facebook timeline. i wanted to know specifics - wanted to join in on the fiction writing too - maybe - because fear has been drying out my words for such a long time now, and in all truth, well, i am one seriously word-thirsty woman. so i did what any non-rational person would do. or am i rational? i dunno. anyway. i joined rachel haas and elora nicole and so many other women hoping to deepen their creativity spark and desire to boldly pursue their fiction writing craft on a day to day basis. and i am so glad i did! i hopped on facebook this morning, read the fiction writing prompt in our group, and then promptly freaked out. i had not heard of writing from "The Reluctant" narrator's pov before. i knew i wanted to take this challenge on head-long, and become more brave-hearted all the while. so my sweet husband brainstormed with me all day today while we were out adventuring about together, he gently cajoled me and encouraged me to write - and then in one swift moment of flippant sarcasm this afternoon a first sentence was hastily spoken aloud . . . born unexpectedly even. my husband said "that is it!" i am quaking brave in this hallowed moment, hoping to become even more fearless in the next twenty-seven days ahead of me, wildly chasing headlong after my word-filled dreams, alongside so many other lovely ladies who are also thirsty for words just as much as i am. i can do this. i am a writer. 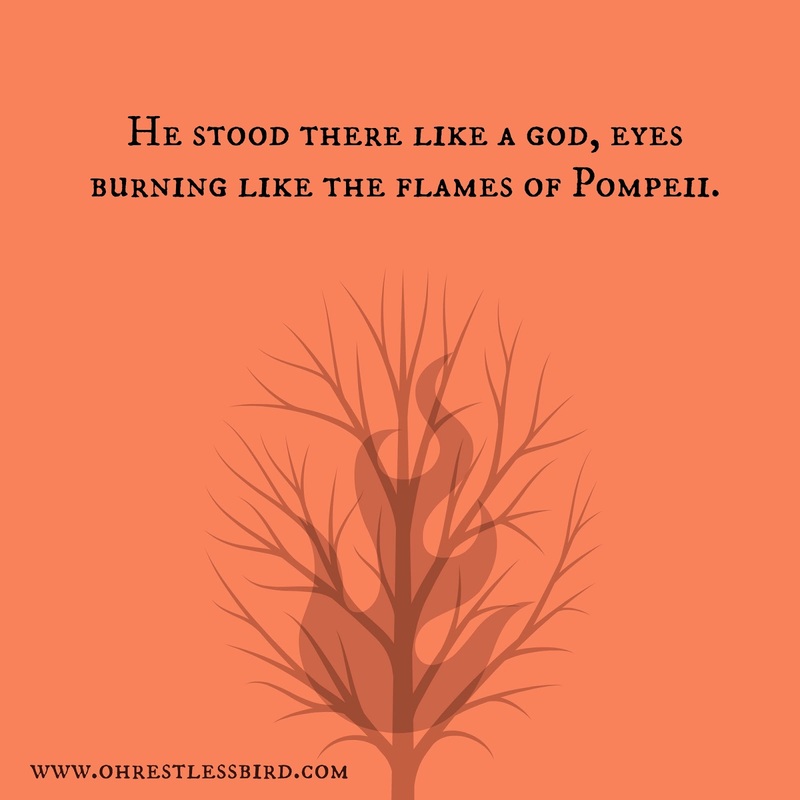 "He stood there like a god, eyes burning like the flames of Pompeii. Jasper was complexity incarnate, and mostly immortal. His story is one that is just as tragic as that city that had fallen long ago, the one wrapped up inside death-bringing flames. Though not a god in actuality, his eyes were wreathed in smiting fire, and he always stood in such a statuesque manner whenever he made his visitations to those of us who could see him. The Greeks and Romans would have staggered aback at the beautiful yet frightening visage of perfection that was him – they’d have been longing to carve his image into sacred earthen stone, and to fall down in worship at his scorched feet."